House of Fine Wines: Dinner help! I'm not approaching my fourth Chinese New Year in Asia (hard to believe) and I don't know what to do for dinner! The wines have been carefully selected after agonizing between rose or another white (rose won! ), but alas, I am at a loss for what to prepare. I will leave my CNY dinner up to you, my dear dear readers. My only request is to leave the duck tongues out of it. L. Tramier & Fils 2010 Chablis. How can I go wrong? Chardonnay, especially from Burgundy, is super food friendly. There is enough body to stand up to meat dishes, yet crisp minerality that leaves you feeling refreshed. Really the ideal dinner date. Domaine de Tara Terre d’Ocres Rose 2011. This is a new to me wine that I am anxiously awaiting, so I can't tell you much other than it came highly recommended and it's a blend of Grenache and Carignan....pepper! 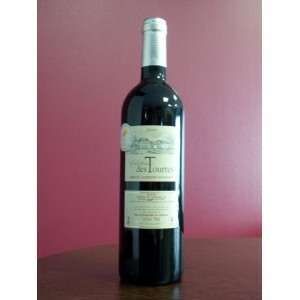 Chateau des Tourtes 2009. Value for money, and berry for berry, this wine is my current favorite. It's juicy AND from Bordeaux. Perfect, no? So what am I eating!? **CNY resolution, drink more old world. Preferably older old world. What's your favorite wine of the moment? Any suggestions for what I should pair with the above? ?